Savannah, Georgia. When you think of the town, you might think of the rich history, cute little downtown squares, bicycles, ghost tours, St. Patty’s Day, and River Street. The fact that this town has a booming underground metal scene is the last thing that would come to your mind. 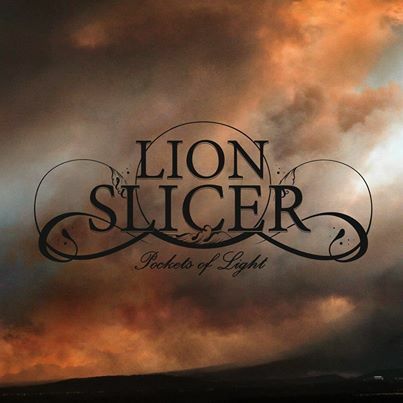 Caught right in the middle of all the talk is post-metal quartet Lion Slicer. The band recently put out their debut EP entitled Pockets of Light, and it’s a banger. The thing that stands out to me the most about Pockets of Light is that all the songs are different. The EP covers everything from shoegazey black metal to post-rock. Menacing vocals “slice” through blast beat drums, soaring distorted guitar chord,s and chunky bass on opening track “Montem”. The song fades out into a droney, ambient soundscape. “Choking the Sun with Wooden Hands,” the band’s first single and definitely the most stand-out of all the songs, displays the vocal variation perfectly. It’s clear that Lion Slicer keeps their top musical influences close. I had multiple friends who I showed this track to ask me “When did Russian Circles get a vocalist?”. That says a lot about how well Lion Slicer do the “post-metal” thing. The next track, “Spiritual Planetary Displacement” is another roller coaster of musical ups and downs. The song crescendos until my favorite part of the Pockets of Light, where the song drops into a nasty stoner rock kind of groove. It’s very reminiscent of True Widow and will not be making it’s way off of repeat in my head for awhile. The last song “The Dead March” ends the EP on a sweet, but seemingly bitter note. With the band relocating to NYC the sky is the limit, and with a debut this solid Lion Slicer will be going past the stars.